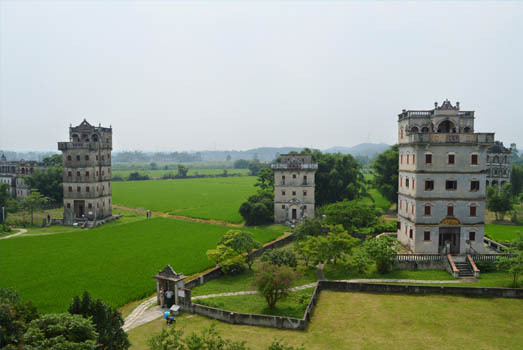 Sharing borders with Macau and Hong Kong is the beautiful Chinese province of Guangdong. 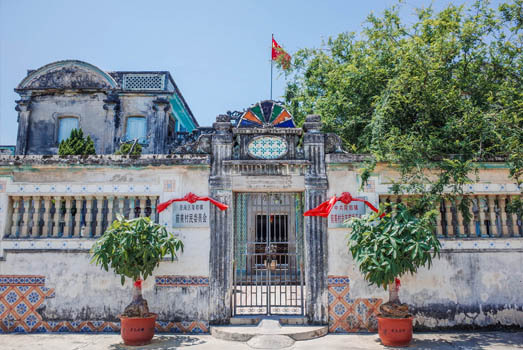 This southeastern coastal province was formerly known as Canton. Having a 4,300Kms long coastline and picturesque little islands, the Province has been and still is a sought-after tourist destination. 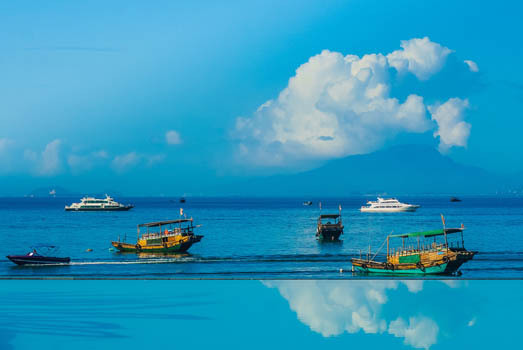 With countless attractions, the development of modern infrastructure, and enviable hospitality services, the region has grown in popularity over the years as a Far Eastern beach resort. 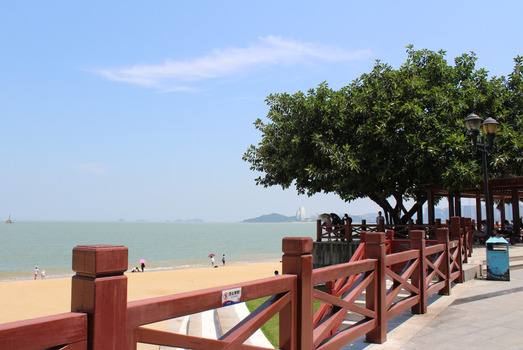 The southern region of Guangdong Province has a long coastline forming the Leizhou Peninsula in the South China Sea. Three major rivers flow from the north of the Province and converge at the Pearl River Delta, leaving behind a fertile and beautiful landscape. The archipelago of Shamian Islands in the South China Sea adds to the attraction of the Province as the perfect spot for a relaxed vacation. The northern districts are dominated by what is termed as the Southern Mountain Range. 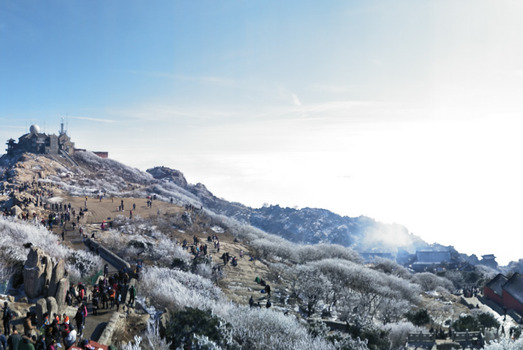 In fact, the mountains make up nearly 31% of the land mass in the Province with the highest peak being Shikengkong at more than 1,900 meters above sea level. The rest of the area is covered by terraced farmlands on hill slopes, farmlands in the alluvial plains, dense forests, or grasslands covered with colorful wildflowers. 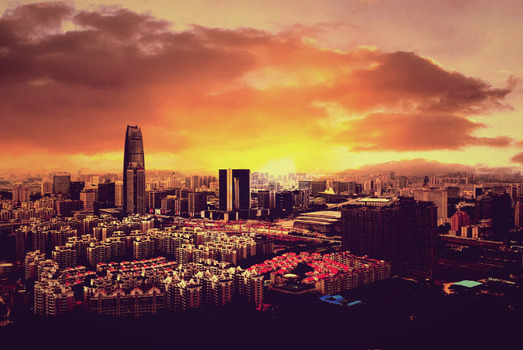 The Guangdong Province enjoys an equable subtropical climate with plenty of sunlight, warm summers, and mild winters. The temperatures range between 19 and 24oC in the summer season and between 8 and 16oC in winter. Autumn and winter seasons are the best time to visit the region, especially the beach resorts. 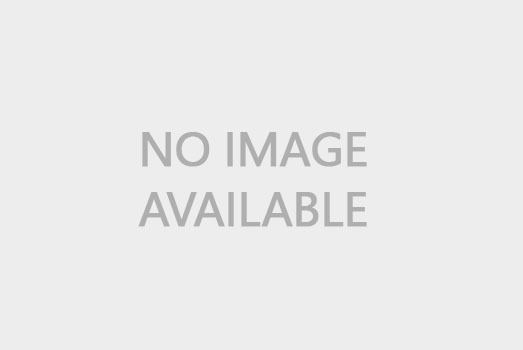 There has been rapid modernization and urbanization in the Guangdong Province in the last couple of decades. Tourism is the biggest industry and many towns have evolved into metropolises for this reason. The Province is leading in some of the industrial sectors like Information Technology, tourism, exports-imports, shipping and trade, research and development, export-processing, packaging, etc. 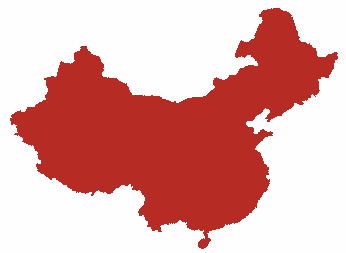 Guangdong Province is the largest exporter and importer of processed and finished goods in China. 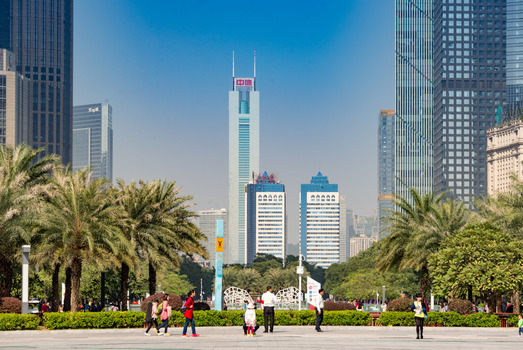 Guangzhou, the provincial capital and Shenzhen, the business hub of the Province are the most densely populated cities. 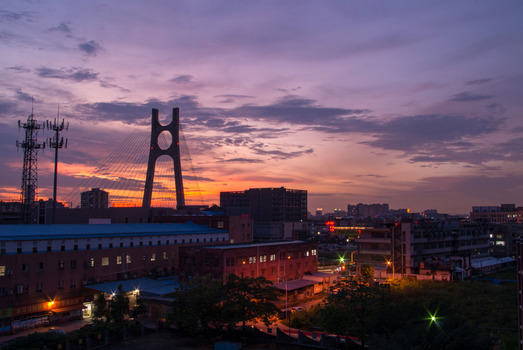 Other large urban areas include Foshan, Dongguan, Zhongshan, Zhanjiang, Puning, Qingyuan, Lufeng, Zhaoqing, Yangjiang, Chaozhou, Taishan, Xingping, Lianjing, Meizhou, Wuchuan, Heshan, Gaozhou, Laoding, etc. With a population of 80 million, Guangdong Province is the 4th most densely populated area in China. It also has an additional floating population of 30 million due to the various labor-intensive industries located in the region. Since ancient times the central districts of the Province were occupied by the Cantonese-speaking Han Chinese. But with increasing job opportunities over the ages, there has been a lot of inbound migration of people from other provinces. A large percentage of the people in the Guangdong Province even today are Han Chinese but a majority of them speak Mandarin. The Teochew people have a strong presence in Chaoshan. The Hakka people also have a prominent presence in specific areas of the Province like Huizhou, Meizhou, Heyuan, Shaoguan, and Zhanjiang. There is also a small percentage of ethnic minority groups like the Zhuang, Yao, She, Miao, Li, Dong, and Tujia. 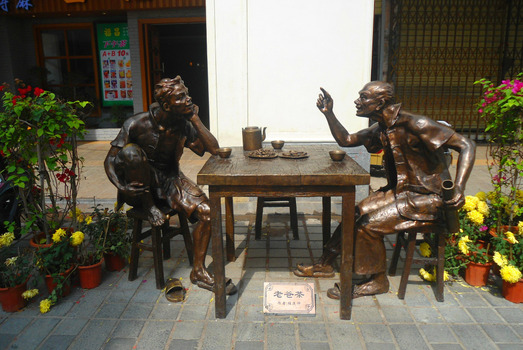 The Province has been the home of the most famous grandmasters of Xiangqi, a Chinese form of chess. The people are fond of art and music. The Han Opera and traditional instrumental music like Hakka Hanyue and Sixian are very popular with the locals and tourists. A large section of the society is made up of students or young working professionals. Therefore, people are very fond of sports and the Province has leading teams in football, volleyball, basketball, table tennis, and other sports. Guangdong Province, Hong Kong, and Macau share borders and have a unique integrated public transport system. The Province is also the most economically advanced region with a splendid infrastructure. 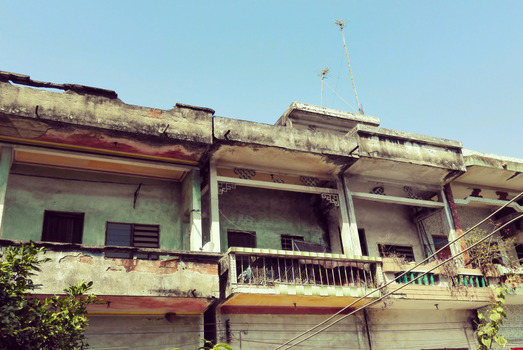 Hence its tourist attractions are easily accessible by either air, railway, expressway, or waterway. Besides Guangzhou Baiyun International Airport, there are four feeder airports in the Province. 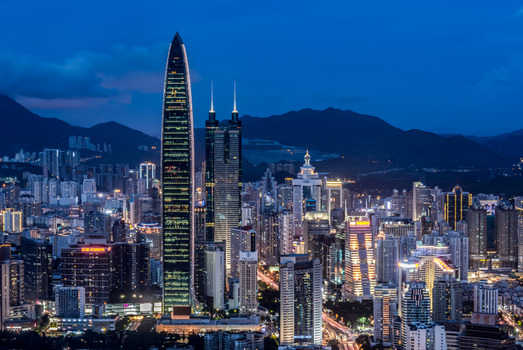 Of these, the Shenzhen Baoan International Airport is also a major tourist air link with other provinces in China and other cities in the world. There are four big rail companies that provide an excellent network of railway lines to all the big cities and towns within the Province. The navigation system along the Pearl River is second only to the Yangtze River waterways. It is one of the most convenient ways to explore the central and southern districts. 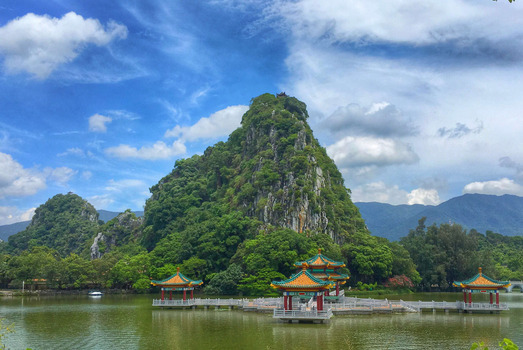 Notable attractions include the Danxia Mountain, Yuexiu Hill, Baiyun Mountain in Guangzhou, Star Lake and the Seven Star Crags, Shangxiajiu Walking Street, Night Cruise along the Pearl River, Bao Mo Garden, Dinghu Mountain, and the Zhongshan Sun Wen Memorial Park for Sun Yat-sen in Zhongshan. The Shamian archipelago is a very unique tourist attraction with its 19th-century European-style mansions and garden-style boulevards. The food of Guangdong Province is better known as Cantonese cuisine. As the region was a business and trading hub since ancient times, the cuisine has evolved over the ages. There is a frequent use of imported (not specifically Chinese) ingredients in their dishes. Cantonese cuisine uses a variety of meats like pork, beef, chicken, offal, chicken feet, frog’s legs, snakes, duck’s tongue, snails, etc. while mutton is used only rarely. Other common ingredients include sugar, rice wine, ginger, chili peppers, vinegar, sesame oil, black pepper, star anise, five-spice powder, salt, soy sauce, cornstarch, scallion, and plenty of garlic. So their cuisine is very flavorful and aromatic. The people use many cooking methods like steaming, stir-frying, braising, deep-frying, double-boiling, etc. Some of the popular dishes include the Cantonese fried rice, Choy sum in oyster sauce, steamed ground pork, stewed beef brisket, Dace fish balls, Chinese donut, winter melon soup, Cantonese seafood soup, lobster with ginger, Mantis shrimp, steamed fish, Chow Mein, rice noodle rolls, beef chow fun, etc.